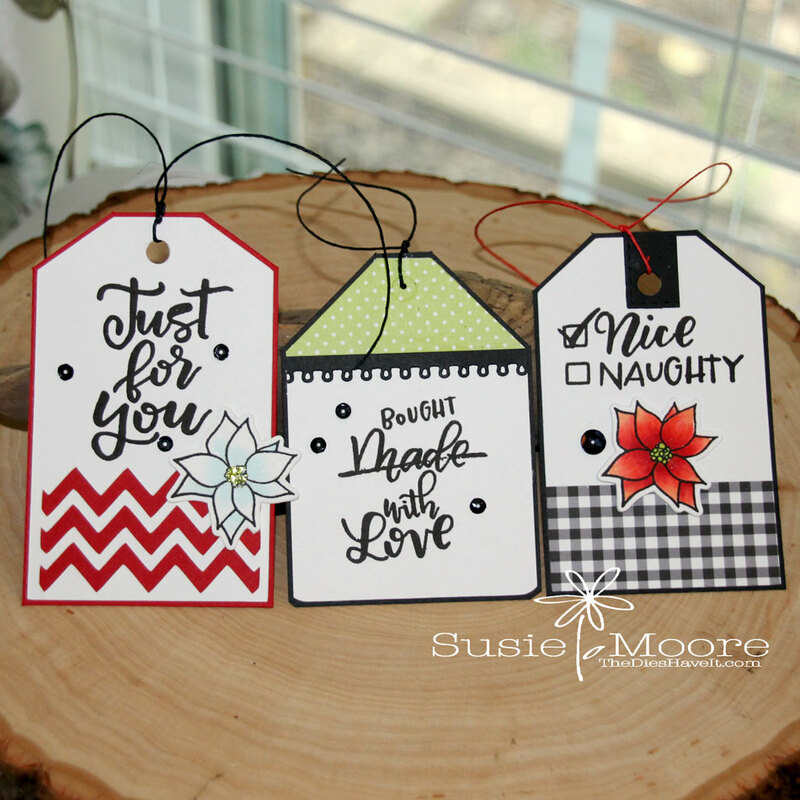 I've been very busy making some Christmas gift tags with new stamps from Sweet 'n Sassy Stamps. Here are just a few I've whipped up for you. 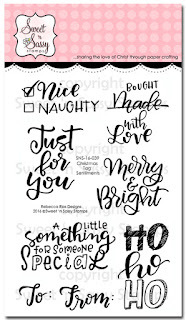 I love this stamp set's sentiments. They make tag creating a breeze! Be sure to check out all the Christmas stamps in the store. I know you'll find some that are just right for you. 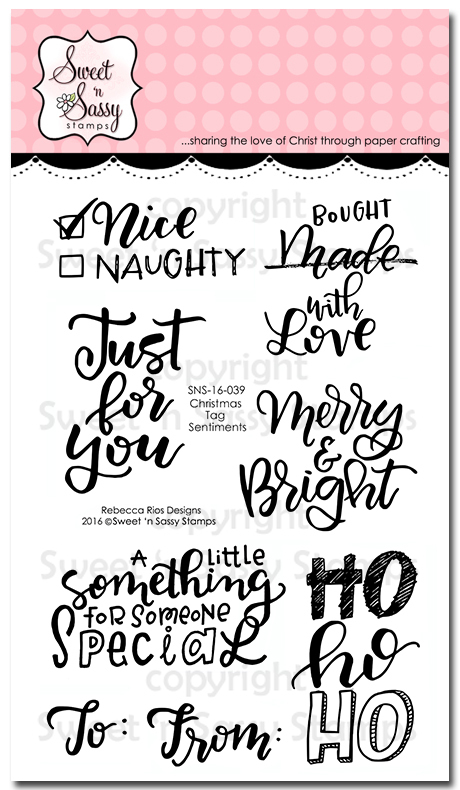 Here's a look at the Christmas Tag Sentiments stamp set which I've used today. 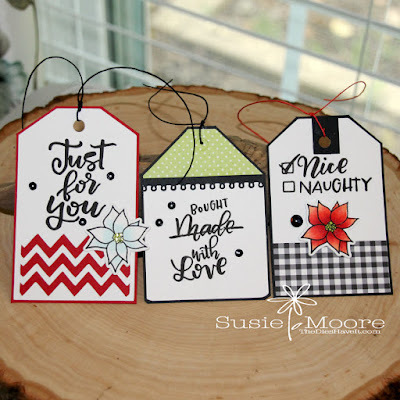 Since my tags fit in with the current Simon Says Stamp Wednesday Challenge, I am going to enter them over there just for fun! I love these, Susie! You are so smart to get going on your Christmas tags! Thanks for sharing these with us at the Simon Says Stamp Wednesday challenge!